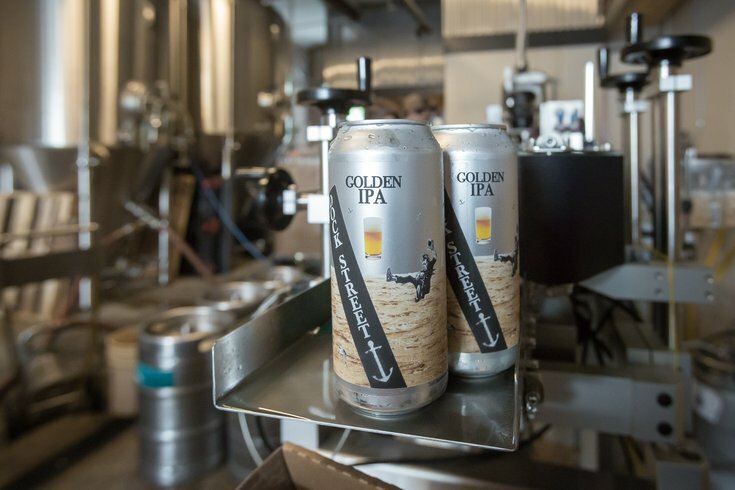 Freshly-canned beers of Dock Street Brewing Company's "Golden IPA" come off the canning line in their newly-added facility. The idea behind Dock Street Brewery's Free Rare Beers for School Supplies series is simple: show up with something kids need for the classroom and receive a cold Dock Street brew. On Thursday, Oct. 12, the brewery is doing something similar to help those in Puerto Rico affected by Hurricane Maria. Head to the Dock Street Cannery & Lounge, located near the brewery, with things from this list of supplies and trade them for a rare beer. Dock Street is asking for first aid supplies, diapers, baby formula, batteries, canned foods, work gloves, blankets and other essentials. Make the trade any time between 3-11 p.m.